Prime Minister Narendra Modi today launched a scathing attack against the Congress party at an election campaign in Maharashtra's Wardha. He slammed the opposition party for 'Hindu terror' metaphor, saying the 'peace-loving community' have now woken up and will punish that party in polls. In another major development of the day, Aam Aadmi Party leader and Delhi Chief Minister Arvind Kejriwal confirmed that Rahul Gandhi was not in the favour of Congress-AAP alliance. Addressing a rally in Telangana, Rahul Gandhi alleged a 'partnership' between the TRS and the BJP. "Modi gets help from Telangana. The remote control is in the hands of Modi," he said. 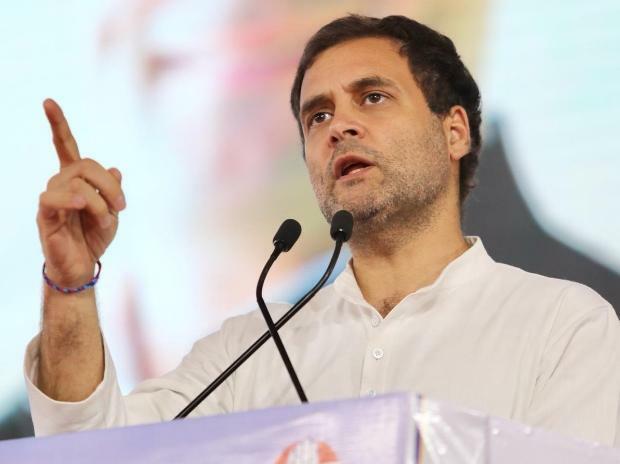 He also promised that the UPA would spend 6 per cent of the GDP on education, building new colleges, universities and institutions and providing scholarships, if the party comes to power. Here is what made news about elections on Monday.